Whether you are on a road trip across state lines, or you feel like refueling your body while getting gas for your vehicle, finding a healthy snack at a gas station convenience store doesn’t have to be difficult. Many tasty treats line the shelves and will satisfy your hunger without sacrificing your diet. Here are six snacks to look for when you make your next pit stop. Instead of reaching for sugary soda and juice, head to the water section. Plain water is always a great option. Our bodies need to stay hydrated for proper organ function. Dehydration can be a serious issue on the road, especially on hot days. If regular water is too boring for you, look for a product like Bai5™. This energy drink has no artificial colors or preservatives and is chock full of antioxidants to get you out of your energy slump. Search the snack area for organic options such as dried apple crisps or veggie chips. There are also organic chips and pretzels from your favorite snack companies that are less processed and use wheat flour instead of refined flour. Trail mix filled with nuts and raisins is a great option that is also rich in fiber, calcium, and other nutrients. Avoid mixes with candy and other sugary treats. 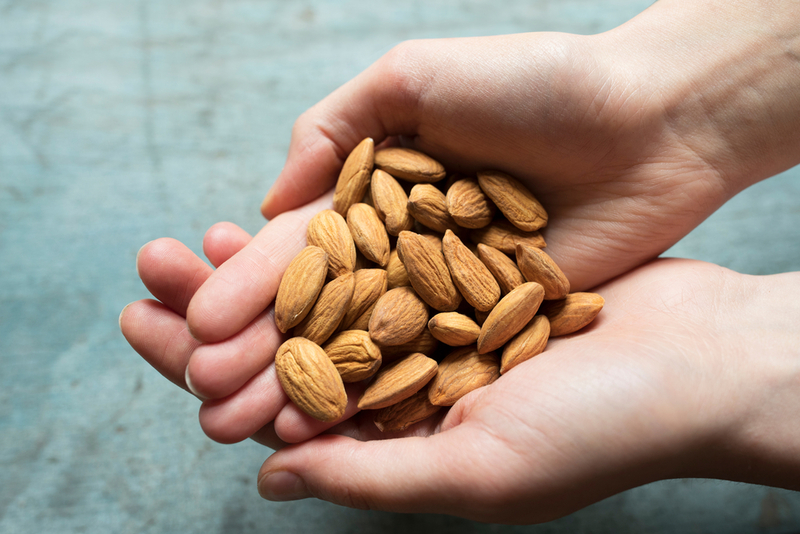 For a simple snack packed with vitamins that will also fill you up, choose plain, whole almonds. Most convenience stores have fresh fruit selections. Whole fruits such as bananas and apples are available for individual purchase. Some stores may have pre-sliced fresh fruit salads in their refrigerated section as well. Yogurt offers an array of health benefits and is a great option to promote a healthy gut while getting a calcium boost. Be sure to choose plain yogurt and stay away from fruity flavors high in sugar. If the convenience store sells Greek yogurt, most varieties provide almost twice the protein of other types. Resist the candy bar and try a protein bar. These yummy treats are filled with essential vitamins and minerals as well as enough protein to stave off hunger. They are also available in a variety of delicious flavors. Choose wisely and opt for brands that pack in the good stuff without all the sugar. When you need to fill up, head to Tri-Mart BP in Tripoli, WI. Since 1992, this gas station and convenience store has offered everything necessary for refueling you and your car. With 24-hour pumps and an ATM on site, travelers can stop in for hot food, snacks, drinks, and more, making it an easy spot to recharge during your journey. Call (715) 564-2440 or visit their website for more.